Having announced ‘Routines’ for Google Assistant last October, Google has finally started rolling it out this week in the US. The feature, which enables users to perform multiple Google Assistant actions with just a single phrase, will replace the existing ‘My Day’ feature in the services list. While it’s already seeding out to users in the US, there seems to be no immediate time-frame for the global roll-out. These users can continue to use My Day for now. 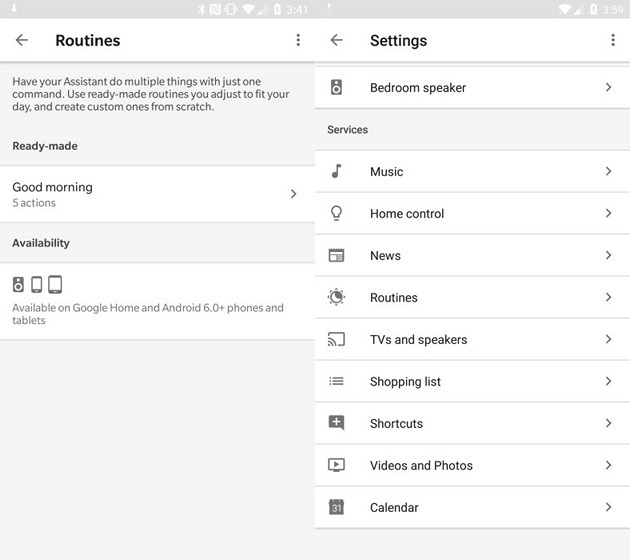 Routines is available on Google Home as well as on smartphones and tablets running Android 6.0 Marshmallow and above. The feature is also available on iOS devices. The feature can be accessed by going to Settings in the Google Home or Google Assistant app, and tapping on the ‘Hamburger Menu’ on the top left corner. From there, you can tap on the ‘Routines’ option to pick the Routine you want, and choose the action you want it to perform. The list of actions include toggling options such as Wi-Fi, Bluetooth, particular apps and more. 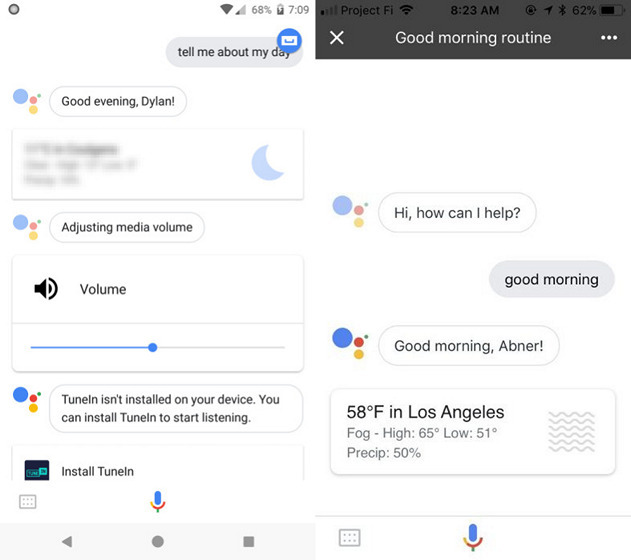 Routines seems to support a whole list of actions and commands, and the full list is available on Google’s support pages. So in case you’re in the US and the feature is already available for you, you can check them out on the link above.